WHEN Consumer Reports magazine published a feature article rating Colombian and Kona coffees in late 2004, it might have created a pleasant dose of positive publicity for one of Hawaii's marquee food products. But the report turned out to be about as pleasant as a day-old pot of joe. With consumption of gourmet or "specialty" coffee growing in the United States, some Kona coffee farmers are trying to protect the Kona brand name with legislation requiring stricter labeling. The Big Island produces the lion's share of coffee grown in Hawaii, and the most productive regions of the Big Island are the Kona regions, which produce about 43 percent of the coffee produced statewide. $24.3 MILLION: Farm value of coffee produced statewide for partially processed "parchment" beans. There in bold print in one of the nation's most respected consumer publications was this statement: "Kona coffees can be second rate." That was followed by an explanation that "eight of the nine Konas we tested are woody, bitter, sour, and astringent." More than a year after its publication, the article has become a touchstone for discussions about protecting the Kona coffee brand. Many Big Island coffee growers say that the article has not just hurt Kona coffee's image, but also underscored a fundamental problem: a paucity of labeling requirements for Kona Coffee. State law allows coffee to carry the Kona name as long as it contains just 10 percent Kona beans. There are virtually no protections on the federal level. 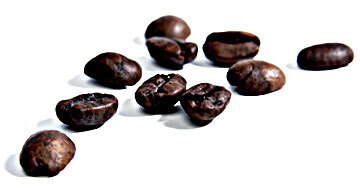 Several of the Konas tested by Consumer Reports were in fact Kona blends and not pure Kona coffee. "There's no doubt that a 10 percent blend hurts our image," said Roger Dilts, president of the Kona Coffee Council, a trade association for growers, processors and blenders. But attempts to solve this problem has generated a storm of contention. Despite the support of many small farmers, two bills that would increase the labeling requirements of Kona coffee appear to be barely alive, if not dead. One bill, sponsored by Rep. Robert Herkes, would require a Kona blend to contain at least 75 percent Kona coffee, while a bill introduced by House Speaker Calvin Say at the request of Rep. Josh Green would require at least 50 percent Kona. But with the Kona Coffee Council sharply divided about the legislation, lawmakers say they're not inclined to push the bills. "We're not going to settle these issues this year; the speaker does not want these bills heard," Herkes said. "The bottom line is it's a pretty complex issue, and we see no easy solution." "There's not presently any consensus with all the competing groups, and that causes me concern," Green said. "They have to speak with a common voice." To say there's not a consensus appears an understatement. Despite its apparent interests in such matters, the board of directors of the Kona Coffee Council has declined to take a position on the bills one way or another. The board also has declined to back alternatives proposed by Dilts and others. All of this is taking place in the aftermath of a controversial Kona Coffee Council board election, which deepened a rift within the organization that has only grown in the last week. The Kona Coffee Council has become so dysfunctional that a number of small growers have started a separate trade group, the Kona Coffee Farmers Association, that hopes to revive the bills. Finally, yet another group, the statewide Hawaii Coffee Association, has passed a resolution opposing the bills. At the center of the controversy is the question of what the stricter labeling would do to the Kona coffee market. Opponents fear the requirement that Kona blends contain significant amounts of Kona coffee would drive prices so high that people would not buy the coffee, thus leading to a decline in demand and a period of price instability that would hurt farmers. Supporters say that farmers would benefit from higher prices, and that opposition is being driven mainly by processors who would have to pay farmers more for their unprocessed coffee cherries. Others say there's simply no telling what would happen. "That's the unknown," said Virginia Easton Smith, an agriculture extension agent with the University of Hawaii's College of Tropical Agriculture and Human Resources. Within the Kona Coffee Council, board members have proposed amending the legislation to implement the stricter labeling requirements in phases, and thus mitigate potential price shocks. But the council's board has failed to support these. Others have called for a "marketing study" of the potential effects of a labeling law. Among those are Dilts and Jim Wayman, a Kona Coffee Council member who is president of Honolulu's Hawaii Coffee Co., one of the state's largest blenders and the maker of the Lions Coffee and Royal Kona brands. "I think a marketing study will give you an idea and provide information to make a decision on," Dilts said. At the same time he is calling for a marketing study, Dilts also has called for mandates far stricter than the ones proposed by the current bills, albeit ones that would be phased in over many years. Dilts' proposed changes would require coffee carrying the Kona name to be 100 percent Kona by 2013. Others call a study request a stalling tactic and say it is unrealistic to expect legislators to amend the bills to require 100 percent Kona coffee. "It becomes a totally different bill when there are significant enough changes," said Colehour Bondera, a Kona coffee farmer and director of the Kona Coffee Council. 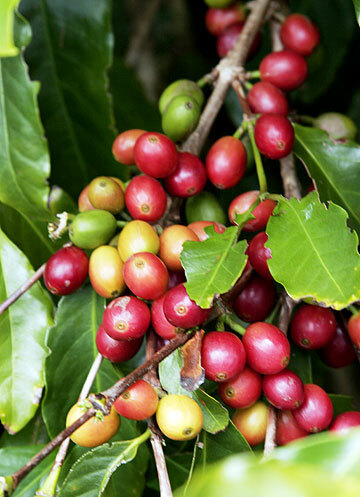 Dilts said it was worth trying to alter the bills to require 100 percent Kona coffee, phased in over a number of years. "Just because somebody says you can't do it doesn't mean you shouldn't try," Dilts said. But Dilts declined to say whether he thought Kona Coffee Council members would be better off with no law than they would be if the bills moved forward, notwithstanding what some people see as flaws. "I'm going to take the weasel's way out and say, 'No comment,'" Dilts said. With the council refusing to act, some members are taking matters into their own hands. "It's quite clear that the Kona Coffee Council board is not going to be responsive to members' concerns," said Sandra Scarr, a former Kona Coffee Council president who is a founding member of the new Kona farmers association. "Jim Wayman doesn't want them to support these bills, and they're not going to support these bills." Hawaii's inability to take legislative action to protect a marquee crop is sharp contrast to the decisive action taken in California to protect Napa wines. Despite the complaints of some wine producers, one of whom has gone so far as to mount a failed appeal to the U.S. Supreme Court, the California Legislature has adopted legislation that requires anyone using the Napa name in a brand to be located in Napa Valley. In addition, a county ordinance requires that wineries operating in the county must use at least 75 percent Napa grapes in the wines produced there. The rationale for that law was that processors using Napa resources such as water and infrastructure should be required to support the region by using grapes grown there, said Jeri Hansen, a spokeswoman for the Napa Valley Vintners Association. The result of these companion laws is that wines carrying the Napa name must contain at least 75 percent Napa wine, Hansen said. As Hansen sees it, allowing wineries to cash in on the Napa name by importing cheaper grapes and bottling them as Napa wine is tantamount to deception. "It's like putting a Mercedes emblem on a Yugo and calling it a Mercedes," she said. One argument made by an opponent of Hawaii's stricter labeling bills is that they would be bad for consumers because Kona beans cost more than others and producers would thus have to charge people more for the coffee. "A 50 percent blend would increase the retail price of a bag of Kona blend coffee from $4 to $8," said Wayman, who called the bills "anti-consumer" in an e-mail message. "A 75 percent blend," he added, "would increase the price to $10.50 for an 8-ounce bag." Hansen said she had never heard that argument about the Napa policies. "We actually haven't had anyone ever say they're anti-consumer," she said. "My opinion on that is that we all have a choice when we walk in the supermarket what to spend our money on. If I don't care, then I'm free to buy the coffee that's not Kona, but if I do care, I'll pay $3 more for ( the Kona coffee.)" One of the great ironies of the Kona coffee debate is that there's nothing regulating coffee produced outside of the state. So there's actually no assurance that the blends mentioned in the Consumer Reports article contained even 10 percent Kona. "It could be as little as one bean," Dilts said. And coffee isn't the only food product facing such a lack of protection on a national level, said Herkes. Hawaiian macadamia nuts also are threatened by the lack of laws requiring packages to say where the products came from. But Dilts said that the Hawaii coffee industry needs to reach an agreement within its own ranks before it can expect any help from Washington. "We in Hawaii have to agree on what Kona coffee represents before we can get representation on the national level," Dilts said.